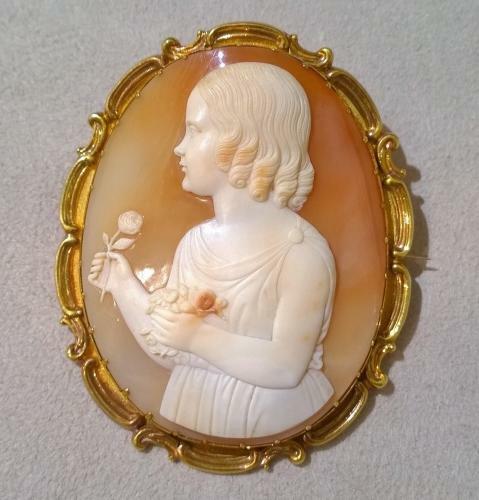 Cameo Brooch by Tommaso Saulini in a gold frame. Mid-Victorian. Height: 7cm.